This English translation of Shamcher’s first book, Distribute or Destroy, was first released in 1936, after the success of the Norwegian version. 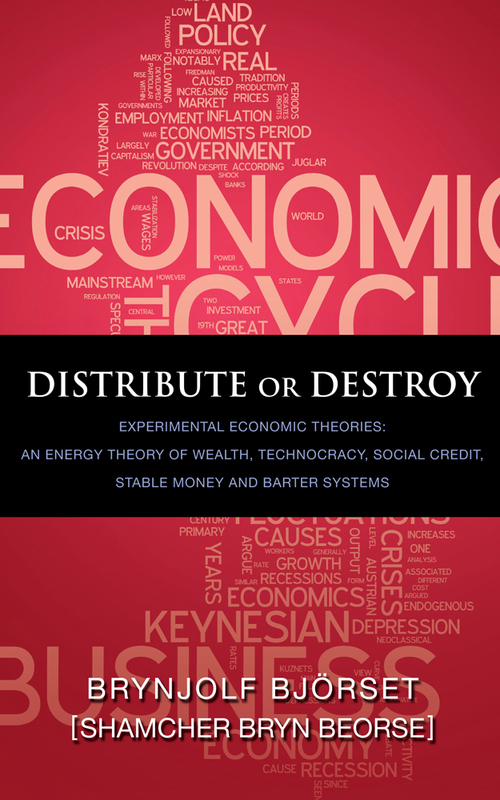 Now republished in paperback and kindle, the book is an overview of the economic theories popular in the Depression, as the western world looked for answers to the dire economic problems. For more info go to the Book Website.